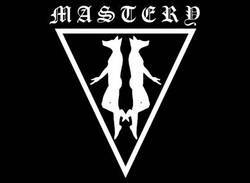 There is no question about Mastery's debut full-length, Valis, being one of the most intense records of 2015. The one-man project of Ephemeral Domignostika is a perfect example of how black metal sound can further evolve its aggression and further push the boundaries that define it. In this interview conducted via email, the man behind Mastery sheds light into the application of improvisation in his music, compositional experiments, free performance as well as discussing other projects he is involved with and what the future holds for Mastery. Scene Point Blank: Hey! First of all thanks for finding the time to do this interview. It is much appreciated! A few months have passed since the release of Mastery's debut full-length, Valis. Looking back at the record now are you happy with what you have achieved? Ephemeral Domignostika: Absolutely. I’m extremely proud of the material captured on Valis. It certainly has divided people, but Valis is a new realization in the evolution of Mastery. Each successive release has changed its method of composition while heightening the demand for technical and conceptual maturity. With Valis, this is at its most extreme and realized state. Scene Point Blank: Compared with the plethora of the black metal bands out there, you seem to stand out with the level of intensity that you are able to reach. Can you tell us what is driving you to express yourself musically with such an aggressive manner? Ephemeral Domignostika: This is the mental and physical place in which I currently reside. Valis is an advancing step of introspection and physical annihilation. Not many bands currently explore the fringe elements of aggression. It’s an easy trend to make your music fresh by adding an unusual instrument or by infusing more accessible themes into black metal, while the dissonant, violent, entropic elements which bred the genre remain largely unexamined. My drive is to push further into these territories finding a new, horribly real, voice. Valis achieves that and, by mastering how to compose through excess, the next release will be more disjointed, uncompromising, and mentally demanding. A painful process for painful music. "My drive is to push further into these territories finding a new, horribly real, voice." Scene Point Blank: There is a strong sense of improvisation within the album that seems to be pushing the music over the edge. Can you tell us how you came to the decision to make such a step? Ephemeral Domignostika: Improvisation is generally a new approach to creating music for Mastery, which I agree pushes the music into new territory. I first experimented with improvisation and forced composition on the fourth and fifth demos, which were each completed in one day with nothing preconceived. My other project Pandiscordian Necrogenesis furthered this approach greatly, as it is a one-man style band; that is I play the hi-hat, bass drum, and snare with my feet while playing guitar and singing simultaneously. That project is also entirely improvised, so I began practising this regimen religiously, developing a language within these limitations. Both projects began to reflect one another; I was frequently on stage performing live sets I thought were great with no prepared material. I wanted that to exist in a larger context. When it came back to Mastery, the idea of traditional writing was no longer appealing. Scene Point Blank: The music of Valis is also incredibly dense. Can you tell us more about the creative process that you follow with Mastery? How did you go about composing the music for Valis and how long did it take? Ephemeral Domignostika: This album was an experiment using spontaneous composition, cut ups, and free performance. Giving an analysis of the methodology used on Valis may be for another time: at this point it is sacred to me. I will tell you that this is (non)linear music. Its grip around composing through defined time and sections is nonexistent. Cut-ups have existed in music and literature for decades and I’m largely influenced by them, but had previously never put their use into practice. I cut up sprawling improvisations, and this continues with every instrument. There are areas I find impossible to open through traditional composing. Improvisation will force odd things out of you: it can act as a quick method to dissect yourself, to see what your true uncalculated intentions are. When your direct unhindered voice begins to speak, your ability as a musician can feel heavily tested. Cut-ups dismantle the process further, causing any previous intentionality to be rewired. This drives a damaged direction and rhythmic atmosphere where I thrive. The entire album took around a year in its completion. Scene Point Blank: Can you give us some insight on the album concept? First, there seems to be a separation of the songs in two classes: “S.E.E.K.E.R.” and “V.E.S.S.E.L.” What is the significance of these in the album's theme? Ephemeral Domignostika: A theme of duality: impulse and hidden (un)intention permeate this record. Those definitions embody our passive and active relation to the cosmos respectively. The song titles detail the transmutation of (un)conscious space. Scene Point Blank: Can you tell us more about the production? It has a raw sound but it fits the music really well, raising its intensity in the process. Did you record it yourself and do all the mixing and mastering on your own? Ephemeral Domignostika: The album was completely recorded and mixed by myself. This new way of composing would be impossible with a band and absurd in a proper studio environment. It’s interesting within the context of the one-man tradition, because this method forces independence, and without the sole control of recording, arranging, and performance, this music can’t exist. In that way it collapses upon itself and reveals something new. If Valis utilized a professional sound, it would lose much of its organic quality. Scene Point Blank: The cover artwork of the album is also very intriguing--Flenser released it with two different colours (CD on blue vinyl on red). 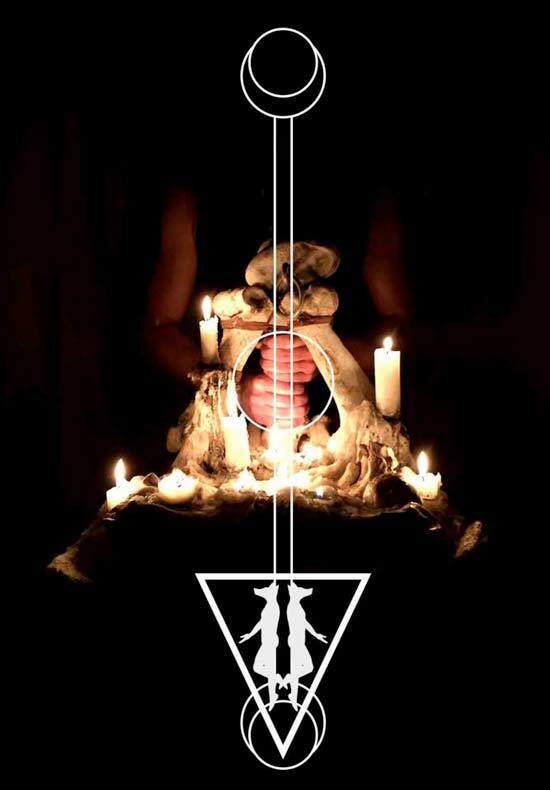 What is the significance of the devilish figure in the cover? Personally I had some notion that it was representing Maxwell's demon since the figure seems to be standing halfway through the open door, and the hand movement could be the reorganisation of molecules. Ephemeral Domignostika: That is a nice and fitting interpretation, although not its original intention. Similar to what was stated earlier, it is representing a shift: something continual, infinitely increasing, yet diametrically static. An entity experiencing non-linear areas. The color shift between pressings also work to represent this changing nature. Scene Point Blank: What is your musical background? What were the first instrument(s) that you learned to play? I am asking since Mastery, even though is a black metal project it, as you said, leans towards improvised forms. Ephemeral Domignostika: I’ve been a multi-instrumentalist for the majority of my time playing music. Because of this I practice almost obsessively, leading to improvisation finding its way into composition. My beginnings certainly lie in metal, although I’m a fluent in player in most styles of music. Scene Point Blank: Your last album, Valis, came out through Flenser, which also released your split with Palace of Worms. What is the relationship between yourself and the label? Ephemeral Domignostika: I have been close with The Flenser from the label’s beginnings, and our relationship has developed with the intent to challenge both artist and listener. This isn’t some overt agreement, but an idiom the label and its artists have provided since its formation. Valis is difficult music to process; when it was first finished a few labels showed interest, but weren’t sure what to do with it. The record underwent many delays in finding a label who could support the material, The Flenser being the only one to commit. Scene Point Blank: In the past years you released a couple of great splits with Palace of Worms and Skullflower. Is there the possibility of seeing another split release featuring Mastery in the near future? Or an extension of the material of Valis? Ephemeral Domignostika: There is certainly a possibility of more splits, but nothing collaborative is in the works at the moment. An extension of the Valis material would be better expected. Scene Point Blank: On the same subject, you are also currently the vocalist and bassist for Pale Chalice, with whom you released another great album, Negate the Infinite and Miraculous, this year. What is your experience from being a member of Pale Chalice, and what difference do you find between contributing to a band with additional members to a one-man project? Ephemeral Domignostika: Pale Chalice is another powerful outlet to express everything that is absent in Mastery, namely classic composition and live performance. My contribution in Chalice lies more in arrangement and lyricism within an environment of many voices. A solo project is a challenge of self-reliance and relentless critique, something additional band members can more easily alleviate. Scene Point Blank: Are there any other bands or projects that you are involved in and would like to mention? Ephemeral Domignostika: Apprentice Destroyer is a new solo project that examines the musical antithesis of that found in Mastery. Scene Point Blank: Are you currently in the process of composing new material for the follow-up to Valis? Ephemeral Domignostika: A new full-length will begin recording soon, although the act of composing has evolved into something even less rigid than the standards Valis works by. Scene Point Blank: Alright! Thanks again for finding the time to answer my questions. Hopefully I will listen to more material from you soon. All the best! Words by Spyros Stasis on Nov. 22, 2015, 3:12 p.m.
Posted by Spyros Stasis on Nov. 22, 2015, 3:12 p.m.
Posted Aug. 28, 2013, 7:14 p.m.